There has been good progress in expanding the coverage of both terrestrial and marine protected areas, with terrestrial coverage slightly increasing from 14.7% in 2016 to 14.9% in 2019, and marine coverage increasing faster from 10.2% to 17.3% in national waters. With concerted efforts from governments to implement national commitments, both terrestrial and marine coverage targets are likely to be achieved by 2020, although further areas will be needed for a full representation of areas of particular importance for biodiversity and ecosystem services. There are currently 245,449 designated protected areas recorded in the WDPA. Most areas are on land, and collectively protect just over 20 million km2, equivalent to 14.9% of the earth’s land surface. Marine protected areas, despite being fewer in number, cover over 6 million km2 more of the earth, representing 7.47% of the world’s oceans. However, marine areas under national jurisdiction (Exclusive Economic Zones or EEZ, 0-200 nautical miles (nm)) have significantly more protection (17.3%) than Areas Beyond National Jurisdiction (ABNJ) (>200nm from the coast), with only 1.2% of protection. Source: UNEP-WCMC and IUCN. 2018. Protected Planet: The World Database on Protected Areas (WDPA), July 2018 version, Cambridge, UK: UNEP-WCMC and IUCN. On average, coverage of marine protected areas continues to increase rapidly since 2016, whilst the growth in terrestrial protection has largely tapered off. The extent of protected area coverage is highly variable between countries in both land and ocean. Information on future commitments collected by the CBD Secretariat suggests that with concerted efforts from governments, coverage of protected areas will increase significantly over the next two years. 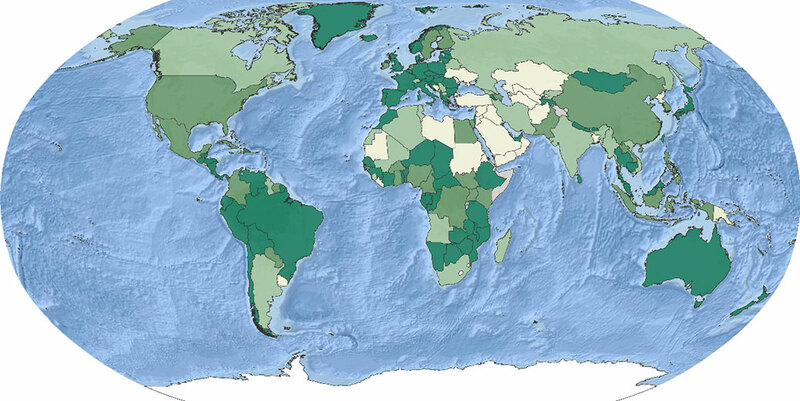 Proportional coverage of protected areas in the land and ocean. 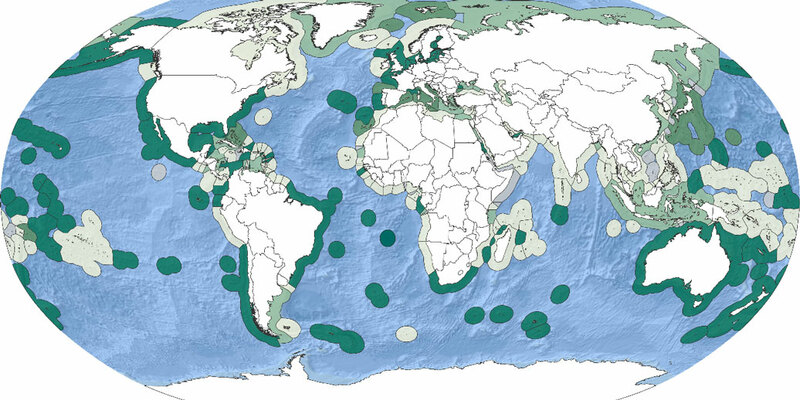 Proportional coverage of protected areas in the land and ocean (including in EEZ versus ABNJ). EEZ: Exclusive Economic Zone; ABNJ: Areas Beyond National Jurisdiction. Source: UNEP-WCMC and IUCN. 2018. Protected Planet: The World Database on Protected Areas (WDPA), July 2018 version, Cambridge, UK: UNEP-WCMC and IUCN. Growth in protected area coverage on land and in the ocean (EEZ and ABNJ) between 1990 and 2018 and projected growth to 2020 according to commitments from countries and territories. Source: Unpublished data from the CBD Secretariat, Source: UNEP-WCMC and IUCN. 2018. Protected Planet: The World Database on Protected Areas (WDPA), July 2018 version, Cambridge, UK: UNEP-WCMC and IUCN. There has been a remarkable increase in marine protected area coverage in recent years. This article explores the consequences and meaning of this growth in marine protection.